You are the Saskatchewan Construction Association and your membership in the SCA ensures the voice of your industry remains strong and diverse. This voice represents the interests of trade contractors from every construction trade, road builders and earth movers, and general contractors. The strength of the SCA is the ability to bring together these diverse views and opinions into one voice, speaking on behalf of construction in Saskatchewan. Above all else, we strive to provide our members with value for their investment in our association. We do that by providing programs and services, collaboration within the industry, advocacy, and providing an effective public voice. Our vision is to provide collaborative and trusted leadership that sustains a prosperous construction industry and a better quality of life for the people of Saskatchewan. All our services and programs support this vision and our strategic map. A governance structure that makes our Association more responsive to our members' needs. The Board of Directors and Advisory Council have created a strong sense of excitement in our industry. We also have strong and active committees that are working hard to address industry issues important to you. For more information, visit our committees page. The strong advocacy work has led to positive results for our members. We have developed strong relationships with all levels of government. The SCA has opened the door for a yearly meeting with the Premier and Cabinet to press the government on important issues facing our industry. The construction industry in Saskatchewan is facing a critical labour shortage. The SCA has made this issue a big priority, and with the help of outside funding, the SCA hired staff to address our industry-wide need to meet critical industry labour shortages. We believe that relationships with our industry partners are extremely important to provide members with value, and have worked hard to become trusted and collaborative leaders. 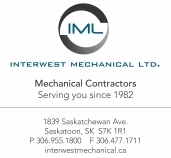 We have close working relationships with all Saskatchewan's local construction associations, and have an integrated membership agreement. Collaboration is a big part of all our work. We continue work to bring our members important and relevant programs and services. In 2014, we launched our official publication, We Build, to enhance our communications with members and the industry. As of March 2018, click here for the list of Plan Deposit Fund Members. The Advantage Construction Savings Program is a suite of value-added benefits tailored exclusively for the Saskatchewan construction industry, offering companies preferred access to discounted or specialized products and services. Visit www.webuildadvantage.ca for more information. The Saskatchewan Construction Association and Imperial Oil are pleased to offer the ESSO Fleet Card Program to all Saskatchewan Construction Association members. Discount off fuel or 1.7 cents per litre (**) fuel discount for each Canadian purchase at any Esso-branded service station. Discount is based on program chosen below. Convenience with the largest retail network in Canada. Value with no annual card fees. Esso Extra ProgramTM or AeroplanTM – now you can redeem Aeroplan Miles or Esso Extra points. It's your choice! To apply, fill out this application form and send it to SCA at sca@scaonline.ca. The SCA has partnered with the Sheraton Cavalier Hotel in Saskatoon. As a member of the Saskatchewan Construction Association, you can enjoy the benefits of staying at the Sheraton at a special discounted rate. Click here to view the rate card!